How Can Lakeland Make Its Dangerous Intersections Safer? Concern has grown in recent weeks among Lakeland residents over the dangerous three-way intersection of Park Byrd Road and Duff Road. The intersection is located near various sports facilities, such as basketball courts and soccer fields, where children frequently play. The intersection of Park Byrd Road and Duff Road does not require all directions of traffic to stop. As a result, pedestrians — especially children — are potentially put at risk when crossing this busy intersection. “Kids having to dart across between cars… It’s really a bad situation with all of the fields there,” explained resident Richard Nalbach to Bay News 9. After resident complaints, the county is now reviewing the intersection in an effort to improve safety conditions. Here are a number of traffic-calming measures requested by locals, and that regulatory agencies have found successful, that officials could implement at this intersection and others like it. Currently, only traffic from Park Byrd Road is required to stop for traffic; Duff Road traffic, which runs adjacent to the sports facilities, does not have to slow down at any point. Locals, like the man quoted in the Bay News 9 story, would like to see a three-way traffic light installed in this spot to require all lanes of traffic to stop and to give both pedestrians and motorists on Park Byrd Road ample right of way time. Speed humps can also help to slow down traffic and potentially reduce pedestrian accidents, according to the Florida Greenbook. This low-cost traffic calming measure works to slow traffic by requiring drivers to reduce their speed to 15-20 mph to avoid discomfort while going over the hump. Another effective method of protecting pedestrians on intersections is countdown pedestrian signals. These signals indicate when pedestrians can and cannot safely cross the street with countdowns and symbols. 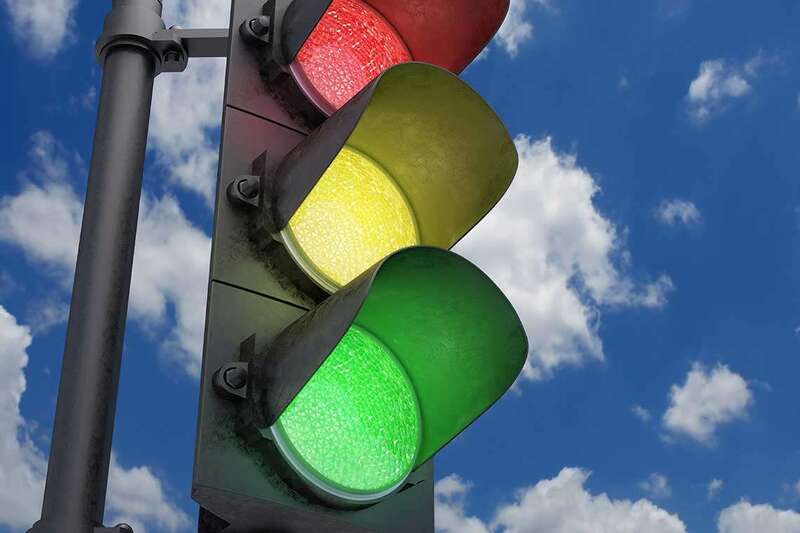 Pedestrian signals are effective because they are universally understood by all age groups, increase the feeling of safety, and can be well-suited to senior citizens as well as children, according to the Florida Department of Transportation. However, this traffic-calming measure requires a traffic signal at the intersection. On both Duff Road and Park Byrd Road, the speed limit is 40 mph. However, since traffic on Duff Road is not required to stop at the intersection, motorists may be dangerously speeding. In order to ensure the speed limit is being enforced in this residential area, automatic traffic speed measurement signs or other methods could help to keep speeding down. The presence and history of speed limit enforcement can impact a driver’s choice of speed, according to FDOT. Whether the local government chooses to implement a three-way light or install speed humps, residents eagerly await the formulated plan to address safety concerns about the dangerous intersection of Park Byrd Road and Duff Road and ultimately reduce car accidents in Lakeland. Have you or someone you love been harmed in a car accident? If so, read more to learn how our car accident attorneys can help to recover the full compensation you are entitled to help cover medical bills and damages. If you are ready to pursue a claim, fill out our free, no-risk case evaluation form today.